There were eruptions against the convict labour system in the South, in which prisoners were leased in slave labour to corporations, used thus to depress the general level of wages and also to break strikes. In the year 1891, miners of the Tennessee Coal Mine Company were asked to sign an “iron-clad contract”: pledging no strikes, agreeing to get paid in scrip (company money which could be spent in company shops and then only redeemed by the company), and giving up the right to check the weight of the coal they mined (they were paid by the weight). They refused to sign and were evicted from their houses. Convicts were brought in to replace them. 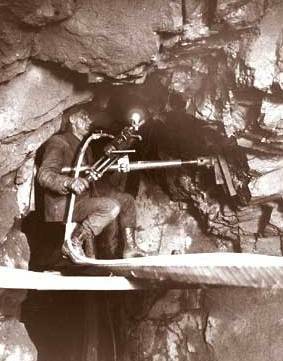 On the night of October 31, 1891, a thousand armed miners took control of the mine area, set five hundred convicts free, and burned down the stockades in which the convicts were kept. The companies surrendered, agreeing not to use convicts, not to require the “ironclad contract,” and to let the miners check on the weight of the coal they mined. I should like to impress upon people the extent of this movement. I have seen the written assurance of reinforcements to the miners of fully 7,500 men, who will be on the field in ten hours after the first shot is fired. The entire district is as one over the main proposition, “the convicts must go”. I counted 840 rifles on Monday as the miners passed, while the vast multitude following them carried revolvers. The captains of the different companies are all Grand Army men. Whites and Negroes are standing shoulder to shoulder. These events illustrated the common interest between paid workers and prisoners in enforced labour and the gains that can be won for both by working together. The UK's Campaign Against Prison Slavery today is still engaged in this same struggle – to end forced labour for prisoners which exploits them and lowers wages and conditions for all workers. This article was taken from Howard Zinn’s excellent A People's History of the United States. We heartily recomment you buy A People's History of the United States now. OCRed by Linda Towlson and lightly edited by libcom - US to UK spelling, additional details, clarifications and links added.